UPDATE JULY 2016 - This chapter, written two years ago, makes some good points, but it is clearly too long, which diminishes its power. If you are in an editorial frame of mind, please use the Anonymous Feedback Form to tell me which paragraphs to cut. When I wrote that last chapter three days ago, I thought I was done. I really wanted it all to be over, but when I woke up this morning I realized I had left out the most important chapter of all. It is the subject that ties everything together and makes this story relevant to everyone on the planet. What is paranoia? In simplest terms, it is perceiving a threat that doesn't exist, or at least exaggerating a real one. When you are paranoid, you see sinister implications in harmless evidence. Even if I smile and say, "Hello," there is always a way to interpret my actions as suspicious. ("Why is he being nice? What is he trying to get from me?") In fact, virtually anything another person says or does can be seen as disturbing if you are in a paranoid frame of mind. 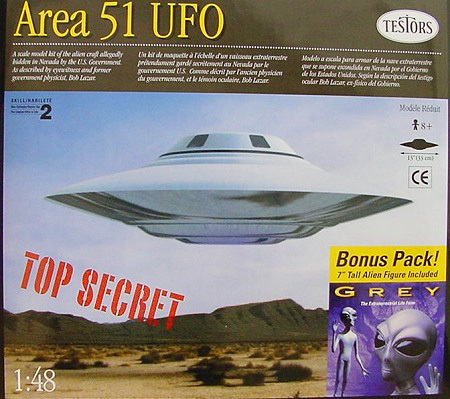 I learned a lot about paranoia during my Area 51 era in the 1990s. The American military base at Groom Lake was the presumed nexus of every imaginable conspiracy, so I got a front-row seat to the paranoia of visiting believers. Thinking aliens exist is benign in itself, since it doesn't imply they are good or bad. We enter the realm of paranoia only when we believe the government is hiding aliens, or aliens are abducting our people, or the aliens have a special plan for you personally. The evidence for these positions is invariably flimsy while the emotions of the believers run high. Evidence they cite as "proof" would never hold up in court, but paranoia helps suppress all the inconsistencies. Believers of the most sinister claims inevitably feel they are being followed or deliberately oppressed by the government, which in turn provides more support for their position. I know from experience you need to stay clear of these "researchers" because their paranoia can quickly shift to you. If you point out the flaws in their theories, you will probably become part of the conspiracy yourself, and they may lash out at you in perceived self-defense. In my Red Cross experience, paranoia seemed to be running the show all the way from Abigail's report to the Rektor to the Rektor insisting I couldn't come to Flekke without a phone conference. The paranoia got even bigger with the Monday Night Massacre after I published Chapter 1. That was a reflection of group paranoia, because the fear of an outside threat can be highly contagious under the right circumstances. Witch-hunts arise whenever paranoia is allowed to run wild without disciplined logic and rules of evidence to keep it in check. Paranoia can bubble up even in a place where 95 countries are represented and critical thinking is taught as part of a required course. It transcends all cultures and can happen even to highly educated people who consider themselves intelligent. Turns out, intelligence is not just a collection of worldly facts but understanding your own feelings and how to manage them. Paranoia is a feeling we all experience from time to time, but not everyone gives into it and follows its instructions. Some of us learn to resist the call of our own deluded thinking and the paranoia of others. We can't help feeling what we feel when we feel it, but when it comes to choosing the actions we take, we all have the ability to disregard our feelings and act on facts instead. This part of what it means to be "smart". You can score high on standardized tests, but if you let paranoia run your life, you will sabotage all your best opportunities, and your celebrated brain won't be good for much. History doesn't record feelings, only facts. When people later judge our actions, our feelings at the time won't hold much water. All that really matters is the outcome of our actions: Did we do the smart thing or the stupid thing? When history recalls that we did the stupid thing, it can usually be attributed to paranoia—reacting defensively to a non-existent threat. History saw the threat evaporate, while our reaction to it was very real and did more damage than the feared threat ever could. The people of Salem and Vard� were suffering from genuine fear and distress at the time they were executing witches, but history doesn't remember that. It only recalls the body count and the flimsy evidence recorded in court. The ultimate judgement of history is that these people were batshit crazy. The persecutors were the real villains, not the alleged witches. The people doing the witnessing, judging and hanging weren't inherently "evil", but they let paranoia lead them into evil actions, which in practical terms isn't much different. When we do give in to paranoia and follow its advice, panic ensues. When a threat seems bigger than it is, we may end up doing rash things we wouldn't otherwise consider, and these actions, in turn, require still more paranoia to justify them. Burn one witch and you need to burn still more to convince yourself the first burning was the right thing to do. Defending against imaginary monsters, paranoiacs often turn into monsters themselves, behaving in ways outside their normal code. Acting aggressively to try to defend themselves, they may actually bring about the thing they most fear. For example, if you suspect, unjustly, that your romantic partner is planning to leave you, you may lash out at them with jealousy and rage, which in itself pushes them away and indeed makes them leave you. Even if the threat was imaginary at first, it becomes real through your own aggressive actions. "That's really disturbing," said Foxy Loxy, then he ate them all. Why paranoia exists is complicated. It is a natural response to stress and emotional insecurity. People who have been through traumatic experiences like crime, war or child abuse tend to be more paranoid than others, but all of us experience it occasionally. At a deep emotional level, paranoia helps us avoid admitting our weaknesses or taking responsibility for our own mistakes. It is a way of saying, "My own failure is not my fault but somebody else's, and here is the conspiracy to prove it." Paranoia is a coping mechanism for stressful situations, but when we give in to it, our emotionally-driven actions tend to make matters worse. That's why paranoia is so poisonous: It creates enemies and crises where none previously existed, and the net damage may be worse than the thing we were originally afraid of. When I visited college campuses in the USA on behalf of two RCN students, I thought I was doing these students a favor. At the time, I didn't see how my actions could be misinterpreted. I was careful to follow the standard human protocol of asking permission before I did anything and waiting for a Thank You at the end. However, I did devote significant time to the project (about 2 hours in each case). You have to be cautious whenever you give a stranger a gift of that magnitude. If someone feels they don't deserve it, the gift is bound to raise suspicions. "Why is he doing this?" the person may ask. "What does he really want from me?" Congrats on getting into [a big university]! The [main] campus? Are you waiting on other applications? I'm passing through [that city] tomorrow. Let me know if you want some photos of what it really looks like. At the point when I made the offer, I knew virtually nothing about Abigail except her country of origin. I felt it didn't matter. I would have made the same offer to any Facebook friend under the same circumstances: They had just been accepted to a college they had never seen and now had to make a choice; I happened to be passing through and could at least take some unbiased photos. Given that Abigail asked me to visit (as shown on the transcript), how could she possibly see my actions as disturbing? Well, that's the magic of paranoia. Since I didn't know Abigail back then and still don't know her now, I can't really say what her motivations were in reporting me. I only know that paranoia is fully capable of producing reactions like this. Abigail didn't know me very well either, and it is always possible to see sinister intent in any ambiguous action. She sought help, but it turned out to be the wrong kind, and I bet no one is suffering from the mistake as much as she is. It is often said that "Even paranoids have enemies." The world is full of genuine threats we have to guard against. The challenge is distinguishing the real ones from imaginary or unlikely ones. If you focus your resources on the wrong threats, you end up creating new problems while distracting yourself from the things you really need to worry about. 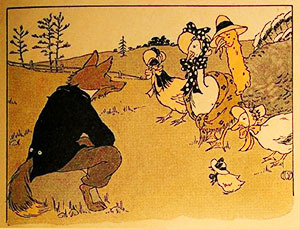 In Henny Penny's case, she and her barnyard friends presented their case to Foxy Loxy, who promptly ate all of them. There was indeed something to fear, but it wasn't the thing their hysteria prepared them for. Paranoia is a distortion of our threat detection system. We fire all our missiles at friends, making enemies out of them, while ignoring the foxes who really want to eat us. Paranoia is a delusion—meaning we are taking real evidence and misinterpreting it. It is not a hallucination where you are hearing voices in your head (although that can happen in extreme cases). Paranoia is seeing an ice cream truck parked outside your home and thinking it is a CIA observation post spying on your daily activities. The truck is real; only the interpretation of it is distorted. That's how paranoia gets us. It focuses our fears on threats that are physically possible but highly unlikely. It is only through intelligent analysis that we determine whether these fears are realistic or absurd. We also have to put ourselves inside the head of the person or organization that seems to be threatening us. It is physically possible that a CIA listening post is focused on you personally, but the big question is why they would even bother. Certainly they must have higher priorities than monitoring your grocery shopping, but a true paranoiac can't see that. He thinks his own activities are important enough to warrant special attention from others. That's another essential aspect of paranoia: egocentrism. Paranoia leads us to believe we are more important to the rest of the world than we actually are. This can even lead to positive forms a paranoia where person thinks, for example, that a famous movie star is in love with them. Our paranoid fears or idealizations may be technically possible, but they imply more attention and deliberate intent than the rest of the world can muster. Egocentric people tend to be more paranoid than others because they can't grasp the feelings or position of their opponents. Without the ability to accurately model human behavior, and not knowing who to trust, they can only double the locks on everything. This closes down their access to the world, encouraging even more paranoia. Paranoia tends to build upon itself, and once it reaches a certain critical threshhold, it becomes a panic. Panics can happen in both individuals and organizations, and they work in a similar way in both cases. The panic starts when people a take a rash action departing from their usual norms, like lashing out at a friend. This action would be shameful if the threat were not real, so once they take that first step, still more deluded thinking is needed to justify it. Once you execute one witch, the tension levels rise; the "possessions" get worse, and you end up executing many more witches. The panic doesn't usually stop until it reaches some kind of hard barrier. 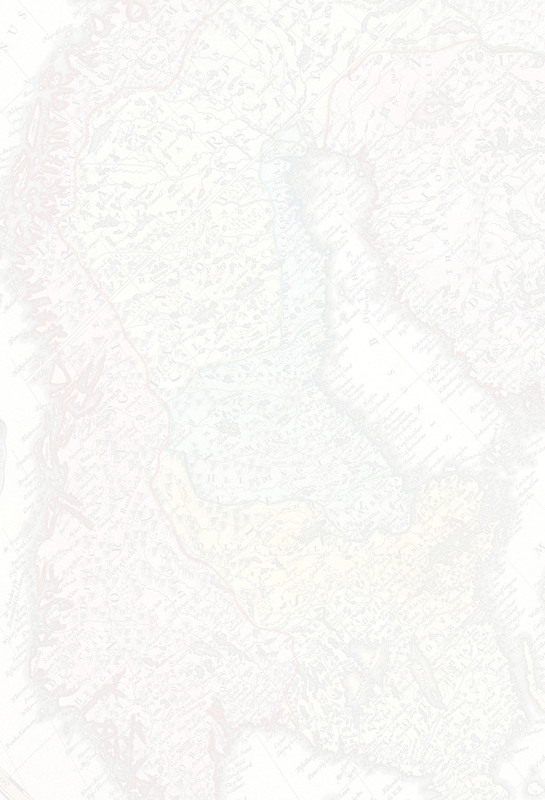 In Salem, it didn't end until higher provincial authorities stepped in and said, "Enough of this shyte!" In Stalin's Russia, the purges continued until tens of millions were killed or imprisoned and the country basically ran out of victims. But maybe I'm being paranoid myself. Maybe I'm paranoid about paranoia because of all the paranoia I have had to deal with in my own life. Still, once you understand my paranoid thesis, you see how it explains a lot of what happened in my Norway adventure. There already was an accident in Norway, one guy came to the same school and killed teenagers. I thought at first they were talking about some kind of incident at Red Cross itself, but the comment by the second person suggested that they were actually referring to the Oslo Massacre. I was aware of the event when it made the news in 2011 but I wasn't thinking about it when I came to Norway. One of the pleasures of Norway is knowing there is virtually no risk of crime. I recognized the Oslo event as an anomaly, roughly the equivalent of an Earthquake or Tornado—a one-time event unlikely to be repeated. As I saw it, Norway was no less safe after the attack than it was before. But did the Oslo attacks color the thinking of the RCN administrators when dealing with me? It is certainly plausible and would help explain their paranoia. (It doesn't excuse it, mind you, only helps explain it.) The Oslo killer, Anders Behring Breivik, gained access to the island where the summer camp was located by impersonating a police officer. After he was already on the island, the staff apparently sensed something was wrong, but by then it was too late. The guy started shooting, and the staff were the first casualties. After that, the guy just kept shooting, and the teenagers at the camp were helpless. On one hand, this incident illustrates just how far a paranoid person can go. 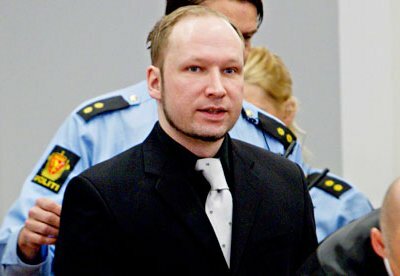 In Breivik's twisted mind, he was engaged in some form of self-defense. (He plead "necessity" at his trial.) On the other hand, you would also expect paranoia to arise from the incident itself, where school administrators all around Norway are taking extra precautions verify that visitors are not gunmen. This is like the heightened awareness in a Kansas town after a devastating tornado passes through: For long after the tragedy, everyone in town is hyper-vigilant about possible tornadoes, even though the chances of it happening again remain just as minuscule as before. This is paranoia in its purest form: a distortion of one's threat evaluation in response to emotional factors rather than objective fact. If you have been swept along in Norway's national PTSD, then Glenn Campbell could be seen as a potential Breivik. Here's this guy coming from America, land of many guns, and he has already disturbed one student with his communications on social media. Maybe his whole lecture thing is a ruse. His true motivations are unknown (since no one contacted him), so maybe he is planning an attack or disruption of some kind. A school administrator can never be too cautious, which would help explain all the last-minute hoops I was expected to jump through. Sadly, America had quite a few mass shootings, so many that each one doesn't register for long on the communal consciousness. (How many have there been since Breivik event? A dozen?) Even including the Brievik attacks, Norway's statistics for deliberate violence are no match for America's. In my proud country, guns are freely available to just about anyone who wants them, and we have plenty of potential Brieviks stockpiling them even as we speak; yet our institutions of higher learning still operate as they always have and remain a model of intellectual openness. Most campuses remain unfenced and unguarded, and no one thinks "Will he be a danger to the school?" when visitors approach. Can you imagine the huge outcry if my RCN experience happened at, say, Harvard? There would probably be some people on campus who would come to the defense of the administrators, agreeing they did the right thing in arranging the cancellation of my lecture. Still, there would be many in the faculty and student body who would be troubled by the precedent. Regardless of my character or the topic of my speech, they would see grave dangers for academic freedom and the free exchange of information. If one uncomfortable student complaining to an administrator can result in the cancellation of a lecture, who will be allowed to speak at all? Only "safe" people with nothing to say! The one thing you would never see at Harvard or any other college in the USA would be complete unanimity. On any issue, you have a wide spectrum of opinions: Some on campus would agree; others would disagree, and a few would be hopping mad. At Red Cross Nordic, I'm reading something different, at least from the anonymous comments I have been receiving. I am seeing only unanimity. One person wrote that I am "creating 200+ enemies by writing this blog". Really? 200 of 200 students at the school agree with the administrators? That's crazy in itself. I have produced a huge document on a relative brief incident. Was is an appropriate use of my time, or am I paranoid myself? Have I distorted the truth like a conspiracy buff would? You are hearing only my side of this story, since the administrators have remained silent. Maybe if you heard their case, you would discount mine. Perhaps you should ask them. May 17, 13:30 — Reviewing the Wikipedia Entry for the whole UWC system, I came across the list of notable alumni. Very interesting! A couple of the names here play into a little mini-discussion I was having on who gets into UWC schools. It started with a hint from an anonymous correspondent that the student body included "famous politicians' daughters" (See notes of Chapter 2.) I seized upon it as a fertile little tidbit and discussed it further in the notes of Chapter 3. I questioned how admitting a politician's child squares with UWC's commitment to "solely on merit". If a politician's daughter gets admitted, isn't it because of who her daddy is, not competitive academic merit? I acknowledged that most students are chosen by the national committees, not the schools themselves, so the fairness of each committee is probably going to reflect the fairness of the country itself. Some politician's in not-so-fair countries may see it as a plum to give to family members. The List of Notable Alumni just gives me more data to work with. Right at the top of the list is the current King of Netherlands (who you probably can't even name without Googling). I really don't know what to think about that. I guess we have to make allowances for royalty. It's an extreme anomaly in the modern world, especially in the enlightened countries of Northern Europe. Norway, for example, is a paragon of fairness and human rights, yet it still has a royal family who owe their position to nothing more than their birth. Unless we are planning to eliminate royalty altogether (as the French did with their fine guillotine), I guess we have to live with them. Frankly, I am more comfortable with a crown prince being admitted to UWC than a politician's daughter, because politicians are supposed to come and go, at least in a democratic country, and UWC accepting one of their children is essentially a political endorsement. Royals will endure regardless of endorsement. At least the Nordic and Dutch ones are well behaved and keep themselves out of the tabloids. 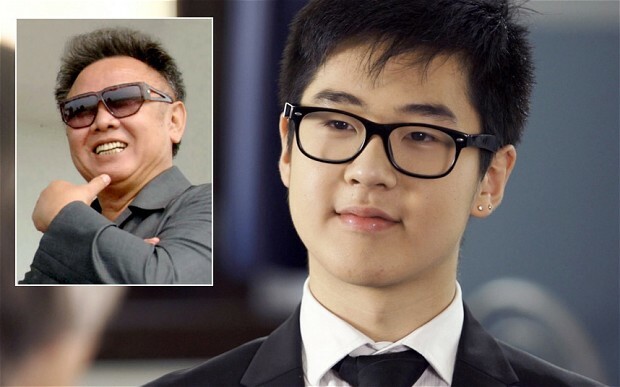 Kim Han-sol, grandson of Kim Jong-Il, who attended the UWC school in Bosnia. But here's a very interesting name on the alumni list: Kim Han-sol, grandson of "Dear Leader" Kim Jong-il. You remember Granddad. He was the relatively sane despotic dictator before the current off-the-charts-crazy one. (Jong-il was only "10" on the Wacko Scale until Junior came along and pushed the dial to "11".) Wow! There are a lot of interesting implications behind this name. The grandson reported graduated from the UWC school in Bosnia in 2013, and today he is said to be studying in France under police protection. While living in the West, he criticized the North Korean government, so there's probably a fair chance he would be executed if he went back home. Like many other students, UWC gave Kim Han-sol an opportunity for a better life he might not have had otherwise. It gave him a chance to think free thoughts and ultimately criticize the same government that sponsored him. It must have been a delicate political challenge for Bosnian administrators to manage his presence at the school. How do you maintain the openness of the school while still protecting this very vulnerable person? So that's the reality of UWC, departing in many cases from the high ideals announced on its websites. Most students are apparently selected on merit based on a fair competitive process but others are brought in by a not-so-fair process. All of them are fragile human beings who deserve respect and who aren't really responsible for how they got there. It's all a very interesting management tightrope. I just wonder if the Red Cross administrators equal to the challenge. There is no North Korean national committee. Kim Han-Sol was admitted through the Chinese one, as he was brought up in Macau. The plot thickens. I am still curious as to how the grandchild of a despotic dictator can be moved ahead of other candidates. Is it purely "merit"? I must emphasize, however, that this is none of Kim Han-Sol's own doing. No UWC student is responsible for the politics that got them there. They are only responsible for being honorable themselves and doing the best they can with the opportunities that have befallen them.